What do you do when one of the greatest tenors of all time walks through your door? 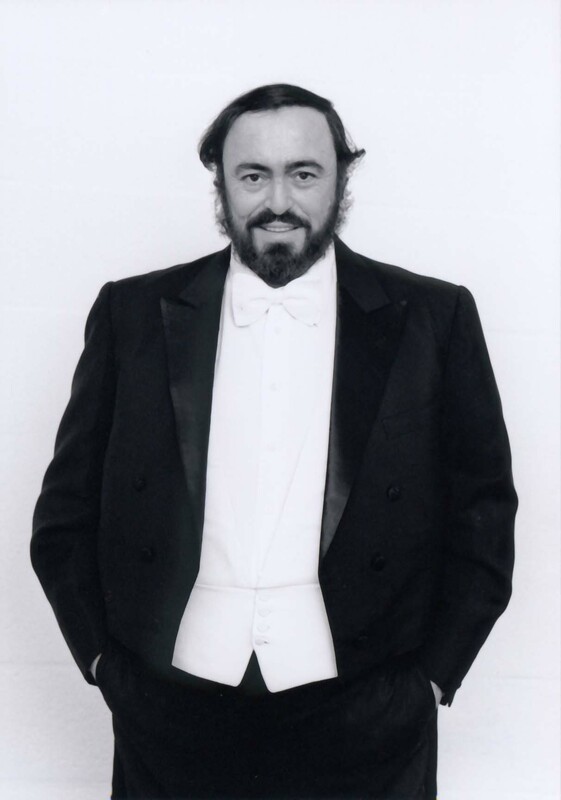 It was the mid 1990s, I had qualified at the workshop of bespoke tailor Tom Reimer in Hamburg a few years earlier, but I was far from being prepared for the late, great Luciano Pavarotti to casually walk in, asking to be measured for a suit. Awestruck, I was hoping and not hoping in equal measures I would be the one making whatever outfit he had in mind. As it turned out, and without having had a say myself, it was decided I would make a tailcoat -in white silk, no less- for the great man (which he was in more than one sense). I was terrified – what if anything went wrong? A few days into the daunting task, a fitting was scheduled and our famous client came back to try his new suit for the first time. I didn’t expect to be involved as this was a job for the most senior master tailor only: direct contact with the client was his domain. The tailor working on the piece would be briefed when the client had left and apply the changes to the garment based on these instructions. But, alas, not this time. Perhaps not ultimately surprising, considering he was the son of a baker and a factory worker, the great performer asked to be introduced to the people who actually made his suit. He came downstairs to the workshop and familiarised himself with materials, tools and techniques. Conversation was via a mix of spoken and sign language, but there was not an awkward moment. It was clear that the man was genuinely interested in the craft – and in the people who delivered it. Not acting on his name but showing true appreciation for work that, in effect, was just as intricate and reliant on years of practice as his own, he had brought on a disarming sense of down-to-earthness, allowing us to refer to each other as equals in craft. When he had finally left I was compelled to make this the best suit the man had ever worn. What spurred me on was not his fame or his testimonial’s importance for the business, but to know that he would scrutinise the work done for him as a fellow craftsman, the fiercest possible critic out there.